Keys to Conscious Business Growth - Welcome Authors! Keys to Conscious Business Growth is more than just stories--It’s a TEACHING GUIDE filled with lessons for the readers. Businesses and entrepreneurs come and go over the years. The ones with real staying-power are built on a strong foundation of conscious values and authenticity. As a conscious business person, you know when you’ve strayed from your values or if you’re acting in alignment with your higher purpose—and you’ve probably found out that the latter is the only way for a business to truly grow. Conscious business people come alive when they are passionate about their work, their products and their clients. They love making a difference in the lives of others and when this happens their work feels like play. Business doesn’t have to be a tough and unpleasant chore; instead it can be fulfilling, fun, prosperous and even life-changing. No matter what area of expertise you choose, you can align your personal and spiritual values to create a thriving business and experience peace of mind in the process. 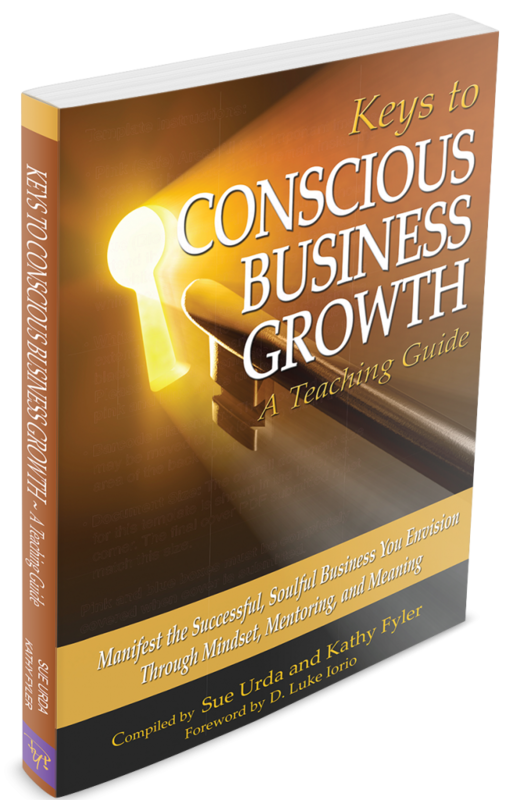 Keys to Conscious Business Growth is a teaching guide that will help you manifest the successful, soulful business or career you desire. It contains stories and lessons by conscious and successful women who have found their way through the sea of professional do’s and don’ts to create a business or career that works for them. And now, they are here to share their secrets, experiences and know-how to help you do the same!